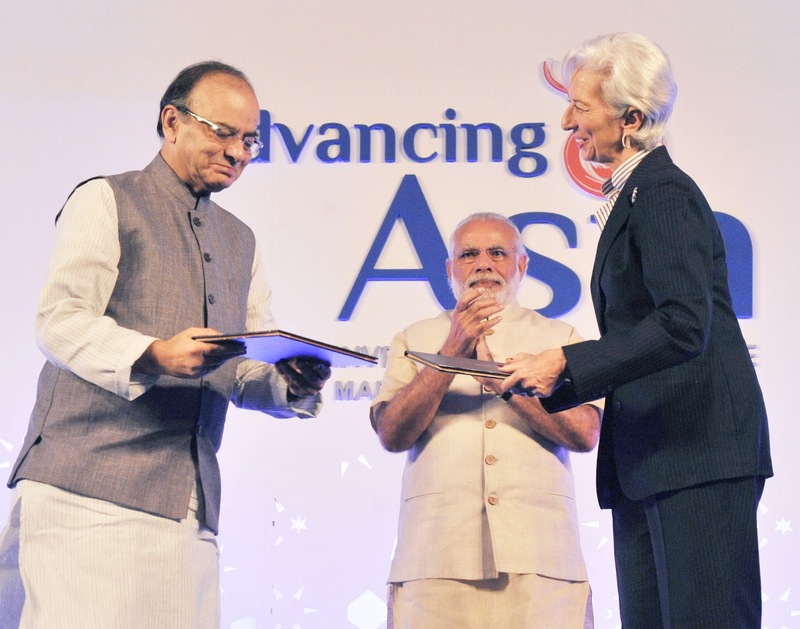 India and IMF ink agreement to establish a capacity development centre in New Delhi. Special Correspondent | New Delhi: Indian government and the International Monetary Fund (IMF) has signed an agreement to establish a regional training and technical assistance centre in New Delhi to enhance capacity building of officials and promote greater coordination between member countries. IMF chief Christine Lagarde and Indian finance minister Arun Jaitley exchanged the signed documents in the presence of PM Narendra Modi at the inaugural session of three-day international conference on 'Advancing Asia' here in the national capital. Speaking on the occasion, Lagarde said, "This will be the first centre that fully integrates training and technical assistance and is a model for our future capacity development work." The South Asia Regional Training and Technical Assistance Centre (SARTTAC) is expected to become the focal point for planning, coordinating, and implementing the IMF’s capacity development activities in the region on a wide range of areas, including macroeconomic and fiscal management, monetary operations, financial sector regulation and supervision, and macroeconomic statistics. The centre will help address existing training needs and respond to the demand for IMF training in India, Bangladesh, Bhutan, Maldives, Nepal, and Sri Lanka, while bringing the region’s training volume on par with those of other regions. "The signing of this MoU represents a key step toward a fully integrated capacity development centre in New Delhi, and demonstrates the shared commitment between the IMF and its membership in using technical assistance and training as vehicles for economic stability and inclusive growth," IMF said in a media release. SARTTAC will offer courses and seminars for policymakers and other government agencies from the six aforementioned countries. Funding will come from contributions by regional member countries and development partners. The Australian Agency for International Development, South Korea and India have pledged financial support for the said centre.